Why not have something totally different for your clients! A night of Darts and Laughter featuring players past and present who will play your customers and clients on the night. The Show comes with a professional MC and full stage set up . Also to compliment the show we provide a top class quality comedian. 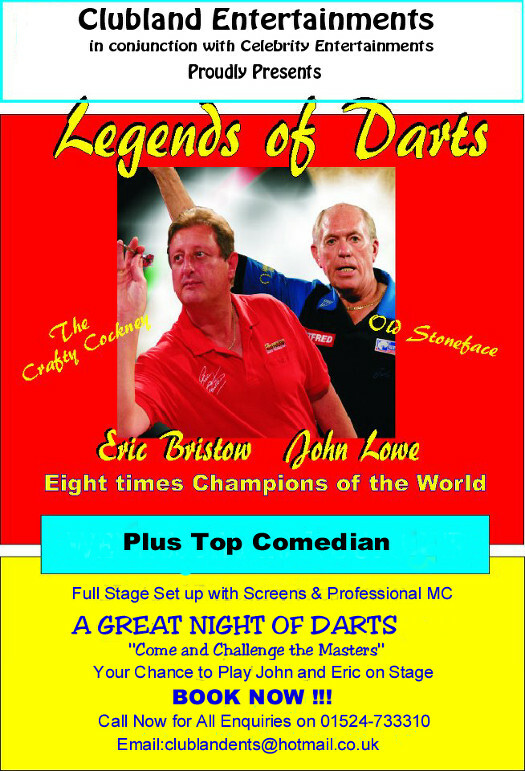 This is a fabulous night of darts exhibition and comedy. To book a Darts & Laughter Show, call Laughter UK on 01524 733310 or contact us online.